They do not eat meat at all but they eat veggies. 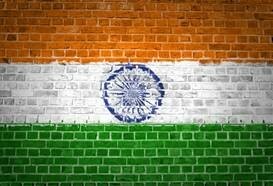 More than 1.2 billion people live in india. Indias "middle class" is about as large as the entire populaution of the united states. The climate is hot and dry in india. Kids that are poor have to work on farms or in shops or even have to beg on the street. India has Tigers, Lions, Lepards, Elephants, Rhinoceroses, bears, and deer. They have to wear uniforms to school. Offer to play a game of soccer or feild hockey.